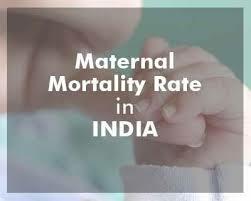 India has registered a significant decline in Maternal Mortality Ratio (MMR) recording a 22% reduction in such deaths since 2013. According to the Sample Registration System bulletin released yesterday, the MMR has declined from 167 in 2011-2013 to 130 in 2014-2016. Union Health Minister JP Nadda said in a tweet that the latest figures reveal that the government has gone beyond the UN Millennium Development Goals of the MMR.